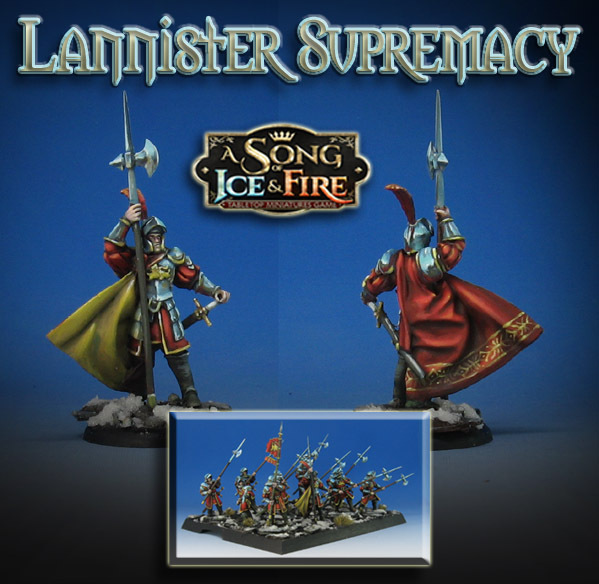 One of the things that has impressed me very much with the Song of Ice and Fire miniatures is the dynamic and dramatic poses that were achieved. Normally figures made of this material tend to be more static or blocky. The pose of this Lannister Captain is very elegant, but he also fits into the unit tray very easily. The cape flows very well, and tracks the armor and figure quite nicely. In addition, the weapons are always prefect every single time! With the filing of a few mould lines, these figures are ready to paint right out of the box. Also, they are really unbreakable by comparison to resin figures of a similar type. I put a touch of freehand on the cape, but I may add some more, especially on the interior surface. He was part of a larger unit of Halberds as you can see here. 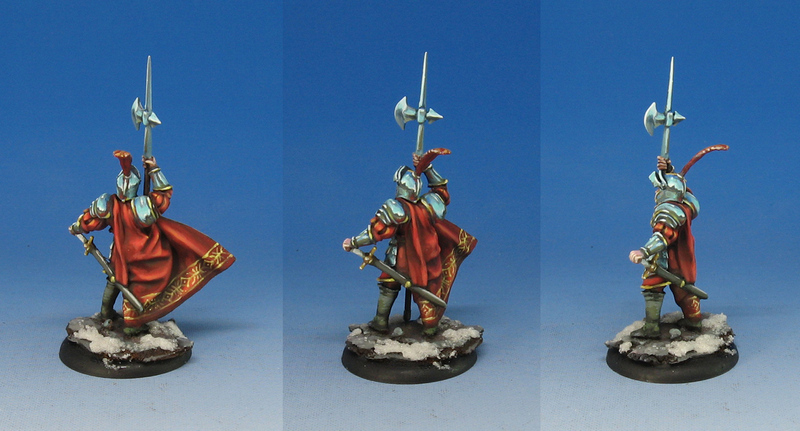 I worked on a dozen regular Halberds, including a standard bearer. That was done as part of my Army Painter series on the Patreon page. 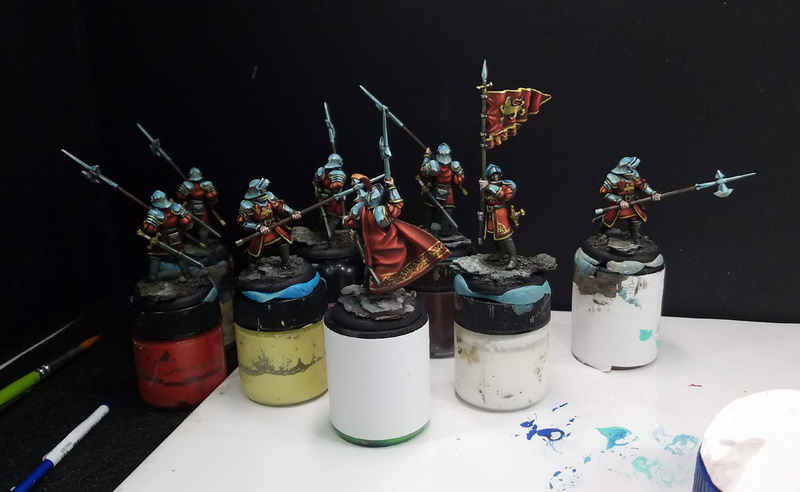 The series takes you through the entire process, starting with the basing and prepping of the unit, and all the various painting techniques. This image fills you in on the primary technique involved, which is Sky-Earth Non Metallic Metals. I have done this on entire units before, but the Lannister figures are perfect for the SE-NMM. The video series has 5 episodes and about 11 hours of footage. 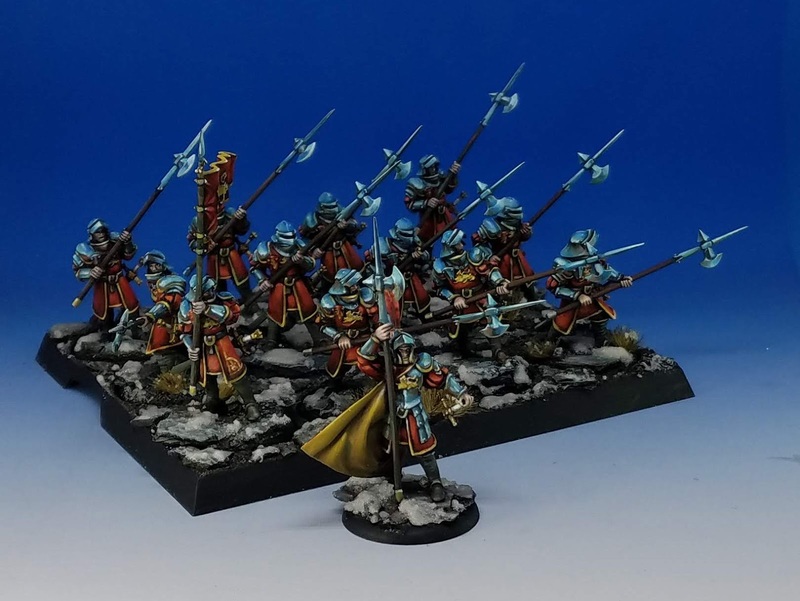 My Army Painter pledge level is $15, and is available on the Patreon page. In addition, you can see all of the other videos created, including basing, large creatures, and more!